Did you watch the Super Bowl game? What a crazy game - I am just happy my team won. 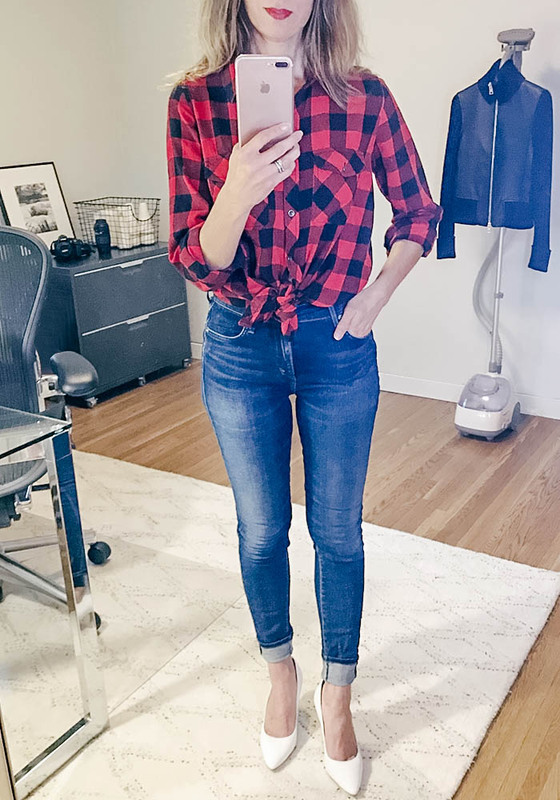 As far as my look, I love my red buffalo plaid shirt! I don't do a lot of prints - but I will wear a plaid or leopard print. This plaid shirt is on sale for $6. These fun pumps for spring. This cute crossbody bag is under $50. This chambray tie front blouse is 40% off. This buffalo plaid shirt for $6! This cozy winter sweater for $21. This floral scarf for 30% off. I love the color of this blazer that is 65% off. These ankle booties remind me of the most complimented shoe I have ever owned. This leopard wrap dress is on sale for $30 - would look cute with tights and boots. This sweatshirt is on sale for 33% off. I like this striped blouse for 40% off. This rich purple/pink dress - on sale for 50% off. I shared more style inspiration & deals HERE and HERE. You have inspired me! 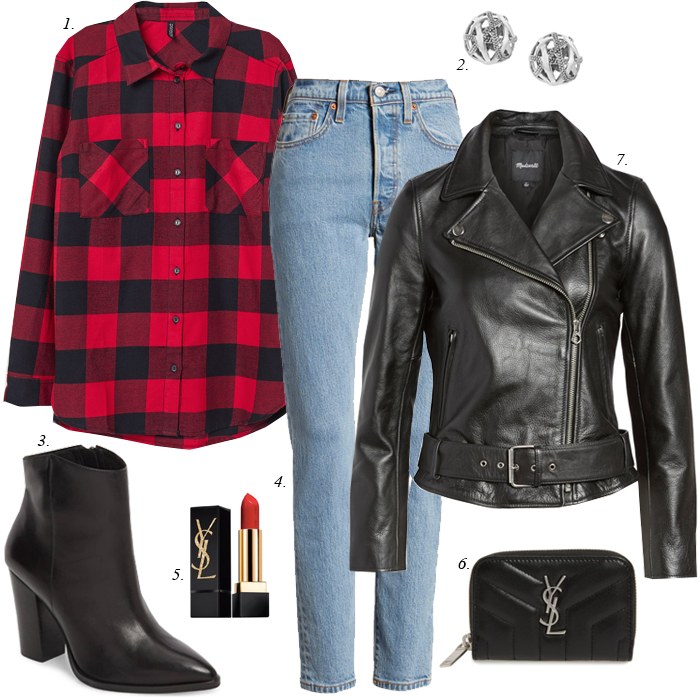 I need to pull out my buffalo plaid today and wear it before spring arrives and it's too late! You are rocking that Beloved buffalo plaid so sweetly beautiful girl! Happy Monday! I love how you styled this- casual yet classy! Cute, cute, cute, now if only I could look good in plaid, haha! Moto jackets are my jam.